We've been serving Metro Atlanta for over 18 years. It's our home and backyard. We're also working hard to reach more cities outside the perimeter. 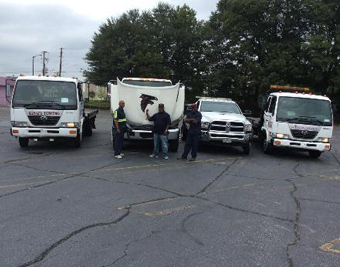 King's Towing Atlanta GA offers light, medium and heavy duty tow truck services for cars, motorcycles and medium sized vans. King's Towing Atlanta GA offers affordable flat rate prices, with quick response times of 15 minutes to an hour or less in most cases.